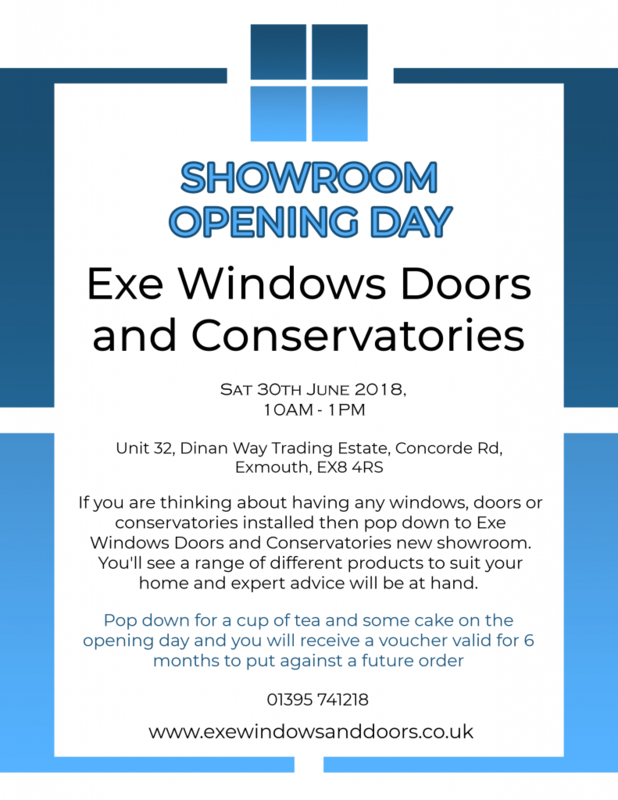 On June 30th 2018 we will be opening Exe Windows Doors and Conservatories new showroom on Dinan Way Trading Estate, Exmouth, EX8 4RS. Pop along between 10AM – 1PM for a look around. After years of installing for our customers in East Devon, we thought it was about time we made the whole process easier by being able to show off our products and be able to give advice at our showroom. 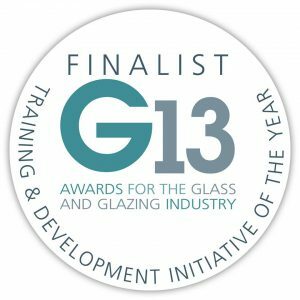 We are offical suppliers and verified installers of both Solidor and the Guardian Warm Roof. We also install Residence 9 windows and other Residence Collections. We have two full size conservatories with the Guardian Warm Roof fitted. We also have an upstairs indoor showroom which features windows, doors and conservatory samples. If you are looking for a composite door we have Solidor doors on show along with a range of hardware and colour samples. We are a local family run business with a friendly informative approach. There are no sales men here. So you can feel at ease when visting us. After the opening date, If you would like to book an appointment please call 01395 741218. You are free to pop in anytime in the opening hours. Our conservatories can also be viewed when we are closed. The best time to make an appointment is a Saturday. How to find us We are the first right when driving down Dinan Way off Salterton Rd, as you drive onto the estate you will see us right infront of you. Follow the arrow and park outside our building. 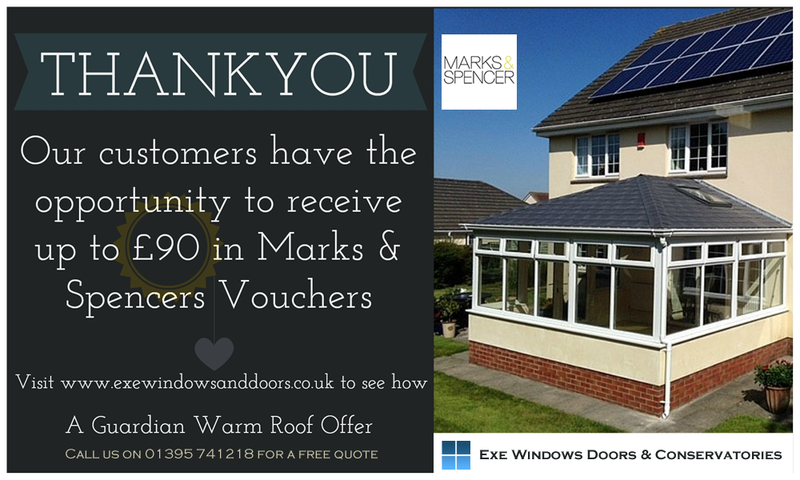 Posted in News and Events and tagged Conservatory Showroom Exmouth Devon, Exe Windows Doors and Conservatories new showroom, Guardian Warm Roof Showroom Exmouth Devon, Window and Door Showroom Exmouth Devon.